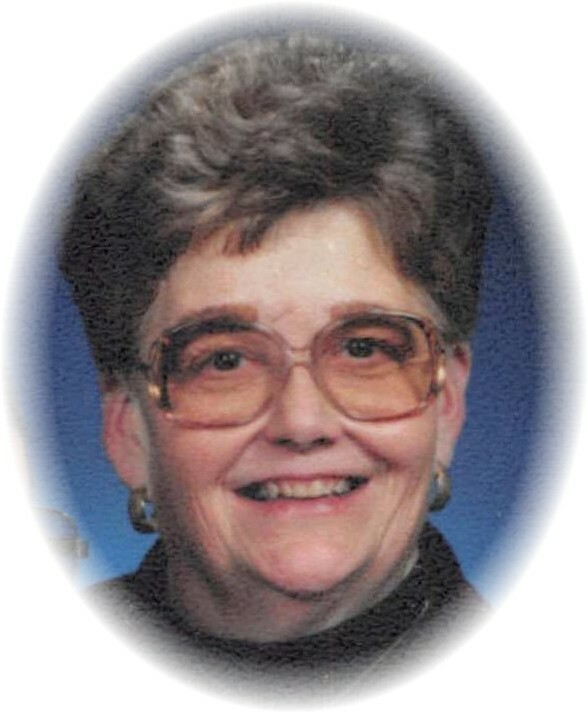 lone Vera Archer Donohew was born on Feb. 4, 1946 to Robert Archer and Vera Benge Archer. She joined an older brother. lone was a happy child and always had a smile. She loved animals especially cats but dogs were always in her life too. She ended up always owning a cat and/or a dog or both throughout her life and could tell you all about each one of them! She started school at the Divide School and attended there until we moved down to the Olive community where she attended the Wolf Creek School until she was a seventh grader where we went to Broadus schools as Walter was starting high school. While in high school, we attended a football game in Edgar, MT. Their football field is lined with great big cottonwood trees and lone happened to be in front of one tree when the play came right to her and she ended up with a broken leg. We told her she needed pads if she was going to play football! lone was in band throughout high school playing the clarinet. lone was in 4-H and took lots of different projects and succeeded at most. One year when Walter was busy in the fields helping Dad, lone did his feeding of his steer and hers. The week of the Fair, her steer who had been so easy for her to lead decided it didn’t want to and took off with Dad in tow. It kind of turned into a rodeo before it was all said and done! Fair time was always tough on lone as it brought many tears for her to sell her animals but not that year??!! lone learned to drive around the ranch and got her license and did just fine, however she was never mechanically inclined. One such instance comes to mind when it was storming after school and lone was driving home and she made us turn off the radio as she said she was going to need all the power she could get! Needless to say, we argued all the way home but never got her convinced of anything else but to keep the radio off??!! lone took piano lessons and loved playing the piano. Mom gave us household chores to do on Saturdays and that was when lone chose to play the piano! And she got away with it several times!! After high school she attended Business School in Rapid City, SD then returned to Broadus where she was secretary to the Powder River County Extension Agent, Jack Jeakins. Jack was a go getter and got things done. lone loved working for him. He made connections for her to have a secretary job with the Pentagon in Washington, DC where she worked for several years. It was during this time, that she met her future husband, Don Donohew. They were married in April of 1972 and lived there for a few years. In 1977, they decided to move out to Wyoming where Don had found a job at a feed lot. We were very happy to have them move back so they could be a part of family get togethers. We always played games and enjoyed each others company with lots of laughs! While living in Powell, lone babysat a couple little boys that she adored. They both loved having family come and visit them any time and considered all of their nieces and nephews their family. lone and Don moved into the Extended Care Facility in 2011 after lone had some health issues. They took good care of them. Don passed away in 2014 which left lone very lonely. She always enjoyed reading and read everything she could get her hands on including the daily newspapers. lone is preceded by her parents, Robert and Vera Archer, and her husband, Don Donohew. She is survived by her siblings, Walter (Arlynn) Archer, Elaine (Ed) Gotfredson and Gordon (Deb) Archer and many, many nieces and nephews. Should friends desire, memorials may be made to the Community Living Center or the charity of one’s choice. Archer family….So many fond memories of Ione. Band, chorus and doing our bookkeeping homework over the phone . My thoughts and prayers are with friends and family! Condolences to Ione’s family and friends. Thoughts and prayers. I have lots of memories of Ione, Joyce, Ethel and many others in the community. So very sorry to hear about Ione. She was always a good friend to everyone with smiles and laughter. She will be missed. Sending prayers and thoughts to all the Archer family. Condolences to Ione’s family. I haven’t seen Ione in years,but remember her from school (just a few days ago). She always had a smile and a kind word. Ke. Keep your memories close to comfort you. R.I.P. Condolences to Walter & all the Archers! My memories of Ione as we played as little kids as our Moms were at Coalwoof Ladies Aid, 4-H Club Meetings with Bob & Vera as our Leaders. Playing in the Caboose at Deibel’s, High School & riding the bus. I had my last 2 visits with Ione in Miles City in 2016. Thoughts and Prayers to Ione’s family. She was a wonderful lady and I really enjoyed getting to know her at ECU. So sorry to hear of Ione’s passing. She had a smile for everyone, a nice lady. I’m sure she will be missed greatly by her family, our sympathy to all. Ione was always pleasant and sweet when I met her while visiting my parents at Extended Care. She was a lovely person. My condolences to her family. The Archer family is a very special second family to me. As a high school student, Bob and Vera made room in their home for Mary Ann and I. Many times throughout the school year, our road home was too muddy or snowy for us to travel so we were welcomed into the Archer family. Ione, Mary Ann, Elaine and I made for quite a crew and we enjoyed every minute of our time together. Ione was a kind, gentle lady who I greatly admired. I know she loved her family and she will be greatly missed by us all. Rest in peace Ione. Ione had a smile that could light up a room. We had lovely visits each time I was at Ex Care delivering the Jobie cards. She always had such enthusiasm for each card and I will treasure the memory of her laughter and the grand visits we had. She will be more than missed. Sincere condolences to her family. So sorry for your loss. I loved seeing her at church when she visited Broadus.She was so sweet with a smile that lit the room. I love the obituary! Ione was a very good friend though our junior high and high school years. Before she left to go to work in Washington DC we enjoyed bowling together on the Gutter Gals league. So sorry to hear of Ione passing over into the light! I will think of her with her special giggle and now being a special angel on the other side! I loved her and so enjoyed all of the Archer family during those years of being around them as a second family! I send my condolences to all of you and may the light and pleasant memories assist you at this time! To all the Archer family….Sorry for your lose. Our sincere sympathy! Sorry to hear about the loss of Ione. What an amazing Lady.. She babysat my daughter from 1990 till they moved to CODY. We sure missed them .. we visited every chance we got. We always wanted to go visit in Montana but never knew her address. since one of her so called friends ( Susan) told us she passed away years ago.. nice to learn the truth now.. we love you Ione rest in piece my friend.. see you in the future..
Ione was one special lady. We met while we worked in the kitchen at the Powell hospital. We became good friends and spent quite a bit of time together. She lit up a room with her smile and giggle . RIP Ione. You will be missed. My condolences to Ione’s family and friends. She was a wonderful person and I remember the Archer family as being kind to all. I especially remember Elaine – my heart and prayers go out to you all.